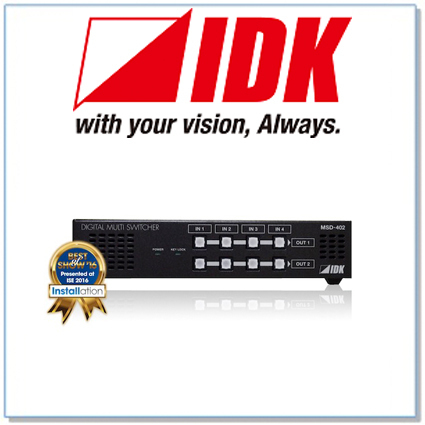 The IDK MSD-402 multi switcher provides 4 inputs and 2 outputs and a built-in scan converter. Video inputs are 2 HDBaseT and 2 HDMI/DVI, these Input signals are converted to HDMI/DVI or HDBaseT at up to QWXGA or 1080P. 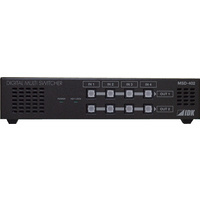 The IDK MSD-402 digital multi / presentation switcher provides 4 inputs and 2 outputs and has a built-in scan converter. 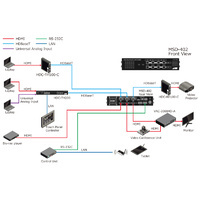 For video inputs, 2 HDBaseT and 2 HDMI/DVI are included. Input video signals are converted to HDMI/DVI signals or HDBaseT signals and output at resolutions at up to QWXGA or 1080p. For audio inputs, 4 digital inputs are included. Selected audio signals are output to digital audio and analog audio. Audio levels of each input and output can be set individually. 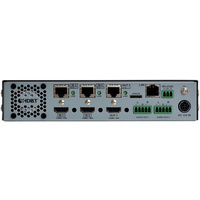 RS-232C and LAN are provided for communication ports enabling external control for remote menus access. 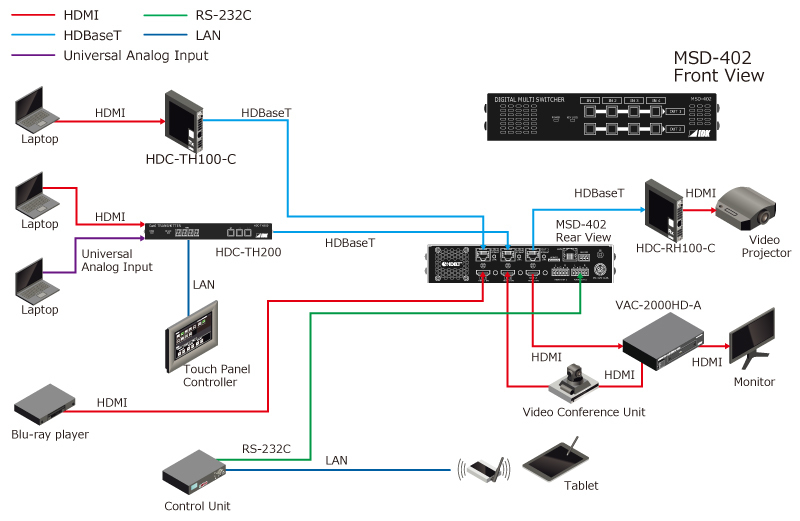 Bidirectional LAN communication is supported for HDBaseT input/outputs. 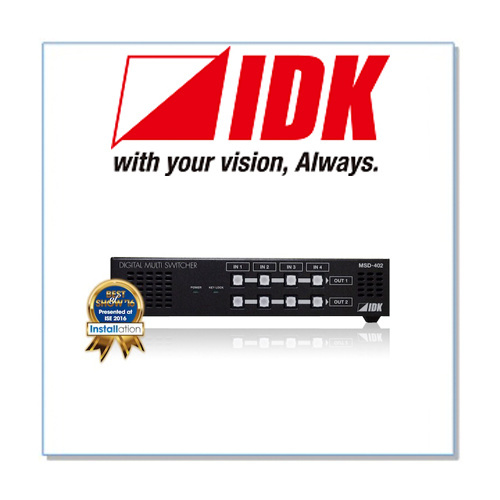 Supports IDK’s byod control solution, iqControl™. ・Audio level adjustment for each input/output.